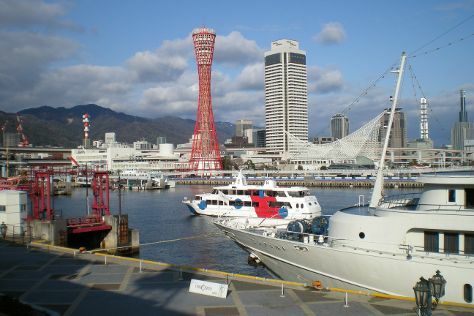 Walkable, small, and aesthetically charming, Kobe has served as Japan's first and premier international trading outpost since opening to trade with China in the mid-19th century. The city sits at the north edge of Osaka Bay, offering its residents and visitors harbor views punctuated by sculptural new skyscrapers. The list of things to do in Kobe includes visits to foreign houses built by and for the first international tradesmen in the 19th century, hikes up the forested paths of Mt. Rokko, and stops at its many museums and breweries. On your tour of Kobe, make time to eat some namesake Kobe beef, and to have a drink of local sake or beer at one of the bars and clubs proliferating in the city. Kobe is in Hyogo Prefecture. Add Kobe and other destinations in Japan to your travel plans using our Japan road trip planning site .